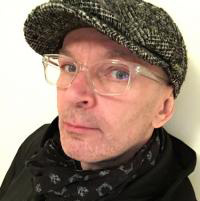 He has been working as a graphic and interactive designer since the late eighties, for companies such as Ogilvy Interactive Detroit, Agency.com New York, Samba Digital Media Prague and Symblaze Los Angeles/Symblaze Prague. He has served as creative director, leading teams of digital specialists and working on digital strategies and online campaigns for diverse international clients. Petr was responsible for the design of the global Ford Motor Company website, and designed and directed projects for Coca Cola Company, PepsiCo, GE Capital, ING Bank, Pricewaterhouse Coopers, Deloitte&Touche, Vodafone, Telefonica O2, The Walt Disney Company, British Airways, Mazda USA and Google amongst others. Since 2001 he has been simultaneously heading a digital design office dgú (nowadays called SORT OF) as its co-founder. dgú/SORT OF has produced mostly interactive work for cultural and non-profit clients such as the National Gallery in Prague, Museum of Decorative Arts in Prague, The Czech Chamber of Architects, Czech Center New York, Czech Center London and The Office of the Czech Government. Petr taught typography and design at the Center for Creative Studies in Detroit, Michigan. He also served as a visiting tutor at the Academy of Art, Architecture and Design in Prague as well as visiting lecturer at the North Carolina State University's Prague Institute. From 2004 to 2006 he also served as Vice-Chair of the International Graphic Design Biennial in Brno, Czech Republic. He is an I.D. Interactive Media Design Review Bronze Award recipient as well as the Graphic Designer of the Year winner at the annual Czech Grand Design Awards. Petr is a graduate of the 2D Design MFA programme at the Cranbrook Academy of Art in Michigan where he studied with professors Laurie Haycock Makela and P. Scott Makela as a Fulbright scholar.